As the name suggests, Compact System Cameras are designed to be small and portable. However, this often means that some specs, including sensor size and functionality, are compromised. Samsung’s NX500 looks to buck this trend, because it boasts an impressive list of features that outdoes many enthusiast DSLRs yet retains a compact body. The NX500 inherits a good deal from its larger, DSLR-sized sibling – the NX1, including a large APS-C sensor, 4K video recording and 3in 1036k-dot display. This comprehensive set of features has been squeezed into a slender body, around 40% shallower and 35% shorter than a Nikon D5500 DSLR. So is the smart money on the NX500? Let’s find out. There’s no better place to start than with the NX500’s large BSI CMOS sensor. Its APS-C chip is the same size as those in entry-level DSLRs, but its resolution of 28.2Mp (borrowed from the NX1) is the highest on the market. With pixels so plentiful, JPEG and RAW images can be shot as large as 6480x4320px. Another feature inherited from its bigger brother is the DRIMe Vs processor. It’s the most powerful processor Samsung make, and although its maximum frame rate can’t match the 15fps in the NX1, its 9fps burst is blisteringly quick and faster than all DSLRs at the same price. Impressive! The Electronic Viewfinder (EVF) found on the NX1 has been left off the bill to give the NX500 more slender dimensions. Measuring 119.5x63.6x42.5mm it has a portability that’s unmatched by DSLRs. On top you’ll find a dedicated Mobile button for activating the Wi-Fi, a shutter button with integrated power switch, an AEL button and a Mode dial with MASP modes. There’s also a hotshoe for flashguns and accessories. Although no pop-up flash is built in, the NX500 comes bundled with a portable SEF8A flashgun for the times when you require extra illumination. One of two Command dials sit on the top-plate, with the other taking its place on the rear of the camera above the D-Pad. Here, you’ll also find the 3in 1036k-dot Super AMOLED touchscreen display. The monitor flips up by 180° and down by 45° to assist with awkward shooting angles – a great addition to have. 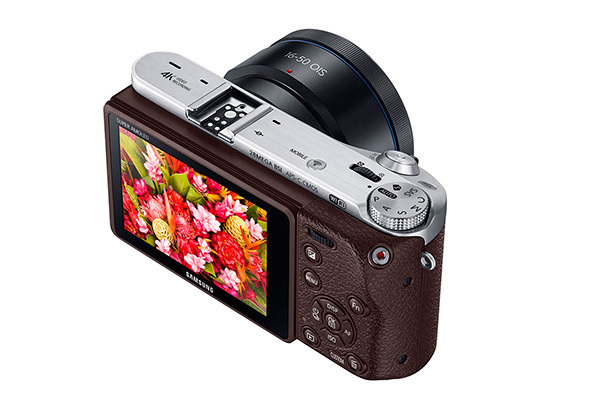 The NX500 comes bundled with an 16-50mm OIS Power Zoom f/3.5-5.6 lens. To zoom you can use the ring at the front or the + and - buttons on the left side, although when in the Manual Focus mode the front ring is used to focus. There’s also an iFn button which provides access to exposure adjustments including Aperture, ISO and White Balance. In addition to Full HD 1080p recording, 4K video can be shot at 4096x2160 24p, but you’ll need an SD card which bears the U3 (UHS 3) symbol to ensure a constant frame rate. When shooting 4K there’s a 1.68x crop applied, giving the 16-50mm lens the film-equivalent range of a 27-84mm. The benefits of 4K shooting aren’t limited to UHD video clips, as you can extract high quality, 8Mp stills from the footage to get the exact moment you want. 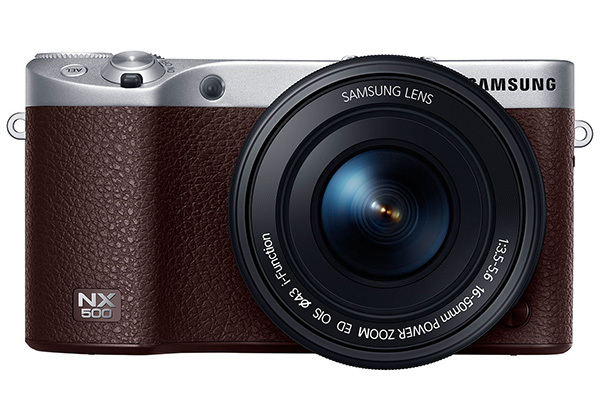 Although much smaller than its DSLR-sized sibling, the NX500 is reasonably large for a mirrorless system camera. It’s not as pocketable as Samsung’s NX Mini, Nikon’s 1 J5 or Canon’s EOS M III, but its large, contoured grip is a welcome addition, giving a secure feel when handholding. The NX500 features an NX AF System III which was blisteringly fast and very impressive in bright lighting. It was a little slower in low light, but the AF assist lamp helped it to focus in these situations. The AF system offers an impressive 205 Phase Detection and 209 Contrast points. The 16-50mm lens has an electronic zoom which takes a little getting used to as it doesn’t have the immediacy of a manually-operated, geared lens. For sharper shots at slower shutter speeds, the lens features an Optical Image Stabiliser. Compared to a DSLR, the buttons and Command dials feel quite miniature and are a little hard to use if you have large hands. That said, the twin Command dials are most welcome and made on-the-fly exposure adjustments easy. There’s a chunky Mode dial on top which sits flush with the top plate. This granted fast access to the MASP exposure modes. In addition, you don’t need touse the buttons too often as the majority of the settings can be accessed and set using the bright and responsive touchscreen display. We enjoyed tapping to focus and swiping through our images, and rarely were we stuck to find the settings we were after. The display also flips up and down for shooting above head height or low to the ground. It’s sharp too, with a resolution of 1,036k-dots. The kit lens retracts to give the lens and camera a manageable thickness of just 7cm, so it takes up hardly any space in a camera bag. It’s quick to turn the NX500 on as the power switch is integrated around the shutter, but it took a disappointing 5secs to initialise and be ready to take a shot from a cold start. The DRIMe Vs image processor gives the option of an impressive 9fps burst mode. A single JPEG was cleared in 0.4sec, while a RAW took 0.8sec to write to our test card. The buffer was unfazed by a JPEG burst. There’s the option to drop the resolution down to 7Mp and shoot at 30fps, and it could fire off 30 frames before stopping. The RAW burst was slightly disappointing in comparison as it halted after seven shots. It then took 1.54secs to clear the buffer and write them. With an RRP of £599, the NX500 beats its all of its DSLR competition in the same price range with a higher resolution, faster burst rate and 4K video recording. It undercuts Nikon’s £636 D5500 and Canon’s £689 750D, comes fully Wi-Fi-equipped and easily fits into a bag. There’s not much to dislike – the NX500 offers everything an enthusiast photographer needs. Staying within the CSC market, Sony’s A6000 is a similar size, and costs less at £510. It has a slightly smaller 24.3Mp sensor, but boasts a higher 11fps burst mode. There are so many cameras on the market that it can be a real headache when it comes to choosing the right one for you. 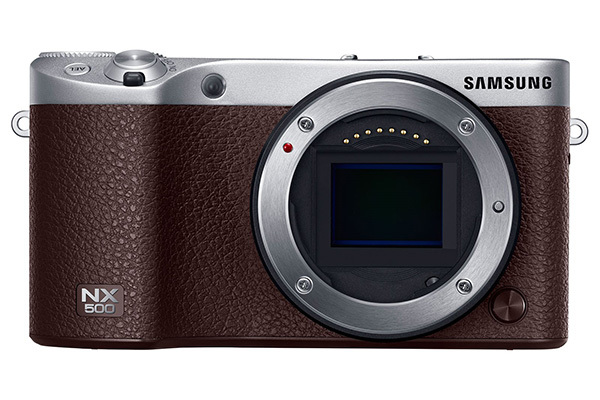 If you’re considering a new camera, the choice of whether you go for Samsung’s NX500 is simple. If you want all the functionality and the image quality of an entry-level DSLR but want it in a more portable package, then it doesn’t go far wrong. Its seven shot RAW burst was a little disappointing and its diminutive size took a little getting used to, but its rapid AF performance and large APS-C chip more than made up for this. If you’re upgrading from a compact, the NX500 will feel like a natural progression. But, if you’re looking for a portable alternative to your DSLR, you may find yourself missing its creature comforts.